A detailed look at the contents of the December 2015 Keto Krate box contents. 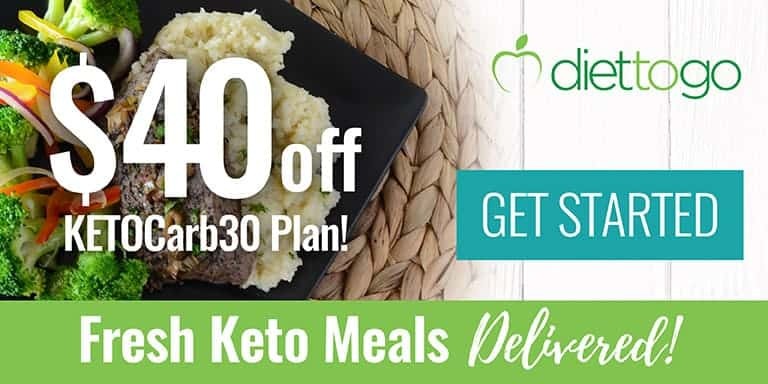 Keto Krate delivers low carb snacks every month to your door! 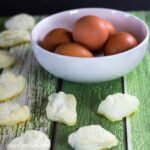 Are you new to the low carb way of eating and having trouble finding new and interesting snacks to fit your new lifestyle? I get bored with the same old food and am always in search of new things to try. The problem is that there still isn’t a lot of low carb choices in the local stores where I live. That’s why I’m so excited that Keto Krate has come into my life! Last month, I introduced this new keto snack delivery service on my blog. I was given two Keto Krate snack boxes to try. And, it was love at first bite! After the holidays settled down, I signed myself up for a Keto Krate subscription service so I can always have new tasty keto snacks at home. January is a new month and I was really looking forward to seeing what is in this month’s box, but I’ll have to wait. With all those moving to low carb in the new year, the January boxes are all sold out for new subscribers! I’ll have to wait until February for my next shipment. 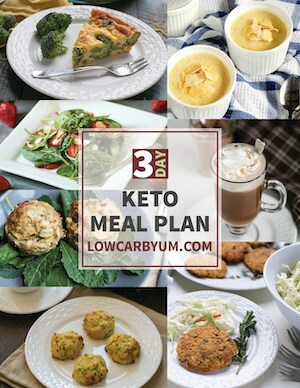 The November 2015 Keto Krate Box was reviewed in my initial post. So, let’s take a look at what was in the December 2015 Keto Krate Box. The Creminelli Campania Salami in my box reminded me of homemade soupie our neighbor used to make. It was so delicious, my husband and I finished it the first day. I’m thinking I may have to use the included discount to buy more. It was absolutely fabulous with zero carbs! It looks like you can get two 7 ounce Creminelli meat sticks off Amazon. I couldn’t find the spicy & smoky Campania salami that was included in my December 2015 Keto Krate box, but I’m thinking all the salami that this company makes is going to be incredible. They even have some made from wild Texas boar! You certainly don’t want to go crazy eating too much meat on low carb, but these fine handcrafted Italian salami sticks from Creminelli are a yummy keto snack with no carbs. This is a high quality product that is uncured. Almost impossible to find these locally unless you make it yourself. A discount was included in the box to get more! A single size portion of seasoned pistachios were included in the December Keto Krate box. I took the bag into work and it made a nice snack to enjoy at my desk. These nuts are from the Gilded Nut company. They cold press the pistachios in extra virgin olive oil and then tumble them in the finest herbs and spices from California. The Gilded Nut offers 4 different flavors of seasoned pistachios: Original Blend, Mediterranean Herb, Habanero Heat and Salt & Pepper. I received a box of the original blend which had a nice flavor without being too spicy. The portion size was perfect for one person so I didn’t have to worry about overeating them. Although these were a really nice treat that are better than regular pistachios, I probably wouldn’t buy them again. I’m just not that into flavored pistachios or other flavored nuts. If you were, you could use the included 20% off discount to buy more. I was excited about try the Innocent Chocolate bar. Who doesn’t love chocolate? This was a pretty big bar of chocolate that serves two. Each serving has 7g carbs and 7g fiber so the net carb is zero. That’s pretty amazing for a bar of chocolate. It’s made with 77% organic dark cacao and sweetened with a stevia/erythritol blend. I’m a fan of bittersweet dark chocolate so this keto snack really hit the spot. Innocent chocolate contains a sugar and starch blocker derived from brown seaweed which inhibits the digestion of these carbs. It also contains a plant fiber that prevents fatty acids from being digested. Such a neat idea to make a chocolate bar with these health benefits! Now you can enjoy your chocolate in a guilt free treat that is actually helping you to lose weight and keeping fat away. There’s a 15% off discount code for Keto Krate subscribers to buy more of this guilt-free chocolate. I’ve heard of biltong, a South African jerky, but this was the first time I’ve tried it. Rather than drying the meat by heat, it’s dried with wind. Using wind versus heat keeps the meat tender. I really liked this style of jerky so I doubt this will be the last time I enjoy it. This delicious beef jerky made by Brooklyn Biltong has no added sugars so it’s another zero carb snack. It’s difficult to find jerky that doesn’t use sugar in the marinade so I was happy to discover this new brand. There’s also no msg, no nitrates, no chemical preservatives, no additives, and no unnatural flavorings in this biltong jerky. It’s gluten free too! The Keto Krate included a 15% off discount code so I can save a little off retail to stock up on this perfect keto snack. Miracle Noodle noodles have been a favorite of the low carb diet followers for years. It was nice to see a bag of this in the Keto Krate. These yummy noodles are high in fiber and low in calories with 0g net carbs. I just love them, but probably don’t eat enough of them. If they were sold in my local store, I’d buy them all the time. If you’ve never tried shirataki pasta, you should give them a try. Add them to your favorite dish in place of regular noodles. I love using them in Asian dishes. I may stock up on some more bags using the 10% discount. The Creamy Peanut Butter and Sea Salt protein bar by Raw Revolution included in the December 2015 Keto Krate box was really good. It’s made with organic and raw ingredients with omega-rich superfoods. They call it a Glo bar as the ingredients are designed to keep you glowing from the inside out. I sometimes have a protein bar from breakfast on the go. This bar has only 3g net carbs so it’s a great low carb snack to take on the road. 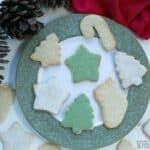 I loved it’s soft chewy texture and creamy peanut butter flavor. I thought this protein bar was very similar to the popular Quest bars. The fiber syrup used to make the Raw Rev Glo bars comes from tapioca, not corn. Last, but certainly not least, was a box of Kitchen Table Bakers cheese crisps. These were the chia seed parmesan flavor. 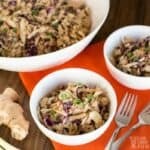 I enjoyed these on New Year’s Eve along with other low carb appetizers. I just recently discovered parmesan crisps as there is a different brand sold at one of the local grocery stores, but only comes in the regular flavor. Kitchen Table Bakers makes the chips in a variety of flavors. The chia seed flavor was included in the December Keto Krate. There was no discount to purchase more of these tasty chips. After finishing the December 2015 Keto Krate box, I was convinced that Keto Krate was for me, so I went ahead and subscribed. 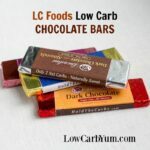 Unfortunately, I subscribed too late and missed out on the January box which sold out due to all the new subscribers who have signed up for this wonderful new service that delivers yummy low carb snacks to your door each month. Click here to see what was in the November 2015 box. It’s a real bargain for the convenience! Maybe a similar service will be started there. I think it’s a great idea and really looking forward to what’s coming in the February box. I subscribed! It’s my treat to myself since my new diagnosis. The january box was good! It had cookie mix, some jerky, more cheese chips, some chocolate, some nuts, and a kale/pumpkin seed combo snack! It’s really expensive but i’m justifying it for one more month as I need to find new products I can eat. I’m still sad that I missed the January box.